We have all heard the statistics – the divorce rate is around 50 percent for a first marriage in the United States. A significant percentage of those whose first marriage ends in divorce go on to remarry, making blended families fairly common as well in the U.S. If you are part of a blended family, you likely know how difficult it can be to successfully blend two existing families into one harmonious new family. It is, therefore, understandable that individuals in a blended family often forget about seemingly less important aspects of their new status. One thing you don’t want to overlook though is the heightened importance of having a comprehensive estate plan in place if you are part of a blended family. 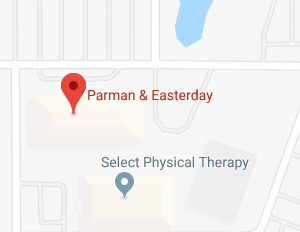 The Overland Park estate planning attorneys at Parman & Easterday discuss estate planning tools and strategies that are often used when estate planning for the blended family. Why Is Estate Planning So Important for the Blended Family? Married spouses typically create reciprocal estate plans that are set up so that if the husband is the first to go, his entire estate will be gifted to the wife and upon her death, the entire estate is gifted to any children the couple have. Conversely, if the wife dies first, her entire estate is gifted to the husband and upon his death, all the remaining estate assets are passed down to the children. This type of estate planning works fine is the couple remain married for their entire lives; however, if they end up divorced, and either (or both) spouses remarry, those original estate plans cease to function as intended. If you are part of a blended family, you will need to rethink your estate plan. One option is to leave everything to your current spouse and rely on your new spouse to gift assets earmarked for your children to them upon his/her death. Not only does that remain a tremendous amount of faith and trust in your current spouse, but it also fails to take into account any number of intervening events that could put those assets in jeopardy. Your spouse could remarry, giving the new spouse marital rights to the assets intended for your children. An economic downturn could put your assets in jeopardy as well, particularly if your spouse is forced to file bankruptcy. The only way to guarantee that the assets you wish your children to have actually end up in their hands is to protect them now in your estate plan. Can a Qualified Terminable Interest Property (QTIP) Trust Help? When you are trying to provide for a current spouse while simultaneously protect assets intended for children from a previous marriage it can feel as though you are being forced to pick which goal is more important. While these two goals may initially appear to represent competing interests, they don’t have to if you utilize available estate planning tools such as a Qualified Terminable Interest Property (QTIP) trust. A QTIP is a specialized type of trust that includes some special terms designed to provide for your spouse while also ensuring that your children’s inheritance is protected. As is the case with all trusts, you will need to appoint a Trustee to oversee the administration of the trust and to manage the trust assets. Assets transferred into the QTIP trust are not directly gifted to your current spouse when you die. Instead, your spouse receives income from the trust assets but cannot withdraw the principal from the trust nor can he or she decide on the ultimate disposition of the trust assets. If the trust assets include real property, your surviving spouse may also receive a “life estate” in the property. A life estate is a type of interest in the property that allows your spouse to remain in the home until death but does not provide for ownership of the property outright. Upon the death of your surviving spouse, the assets held in the trust are distributed to the QTIP trust beneficiaries which, in this case, will be your children. For additional information, please join us for an upcoming FREE seminar. 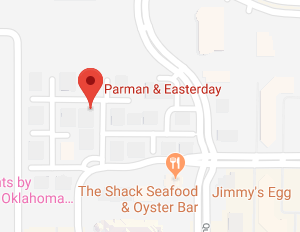 If you have additional questions or concerns regarding estate planning for the blended family, contact the experienced Overland Park estate planning attorneys at Parman & Easterday by calling 405-843-6100 or 913-385-9400 to schedule your appointment today.